London-based Pro System Services, supplier of sound, lighting and AV to events across the UK, and specialising in UK Asian events – has boosted its hire stock inventory with a £60K investment into Chauvet Europe’s pro lighting product range. 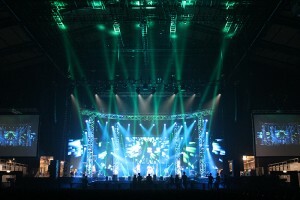 Pro System Services’ commitment to the Chauvet brand is represented by a total of 26 Legend 230SR Beams - the 230W compact moving yoke beam fixture with a zoomable prism and motorised focus; 16 Q-Wash 560Z-LED - the best-in-class moving yoke wash with a wide zoom range and a variable beam angle; and 30 WELL 2.0 – the groundbreaking and stylish 3, 4, 5, 6, or 10-channel tri-colour RGB LED wash light run on a built in battery with 12 consecutive hour-capability. Pro System Services MD, Brindan Sivanandan, commented: "The Chauvet products sold themselves to me straightaway – and they continue to do so. They are great quality, robust fixtures at a really affordable price. The Legend 230, particularly, is a product to rival its competitors. We will continue to invest in Chauvet because it’s proved to be a young and stable brand that can be trusted. The support we receive from them, both professional and technical, is second to none." The new stock is in continual demand and most recently has wowed the [capacity]-strong audience at Wembley Arena, where the season eight Grand Finale of Maanada Mayilada, sponsored by Lycamobile – South India’s televised dancing competition to find new talent – was broadcast for the popular Tamil television channel, Kalaignar TV. 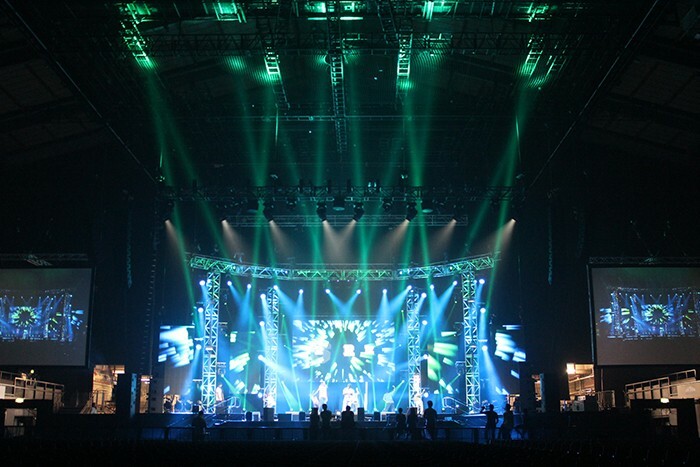 Previously, Pro Systems’ Chauvet fixtures have appeared in events at Birmingham’s LG Arena, Birmingham’s NEC, London’s O2 as well as the Royal Albert Hall. Mr. Sivanandan added: "We have had some very experienced and popular LDs use the moving heads and they’ve been impressed by the brightness, functionality and responsiveness of the lights. We’re opening minds to Chauvet.